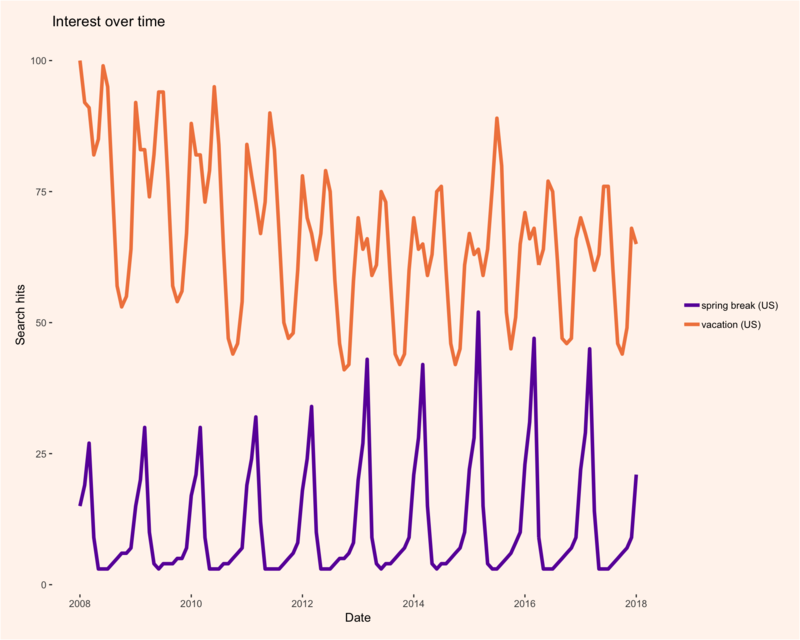 Mapping hurricane search data from Google Trends! 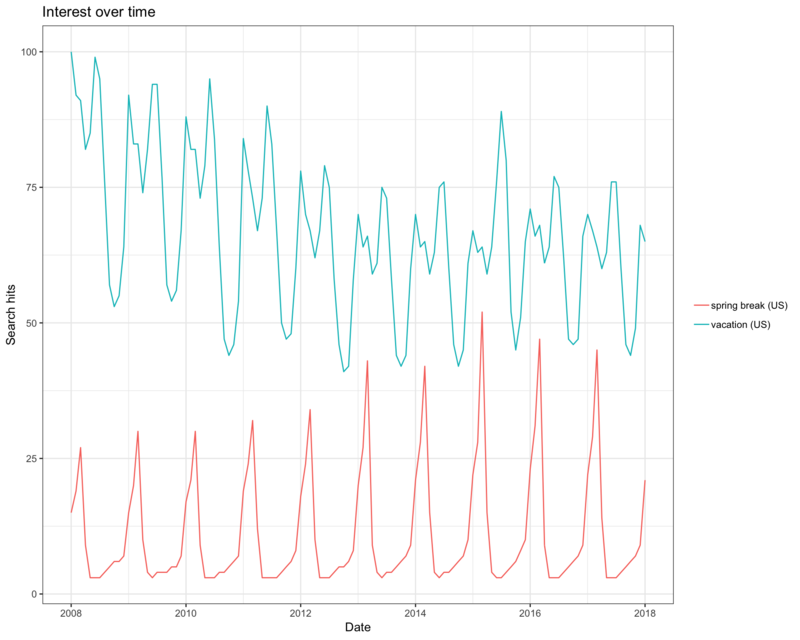 This is a quick introduction on how to get and visualize google search data with both time and geographical components using the packages gtrendsR, maps and ggplot2. In this example, we will look at search interest for named hurricanes that hit the US mainland starting with ‘Katrina’. We’ll also explore different ways of using colour palettes in ggplot2. First, we load the required packages. Note that we use devtools to download a developer version of gtrendsR. Focusing on searches made in the us, we’ll set the geo argument to “US”. NOTE: adding a line for Hurricane Irma used to work just fine, but it currently seems to mess up the output and only show straight lines. Using the plot function returns a ggplot object, which we can then customize. However, I was unable to suppress the default plot. 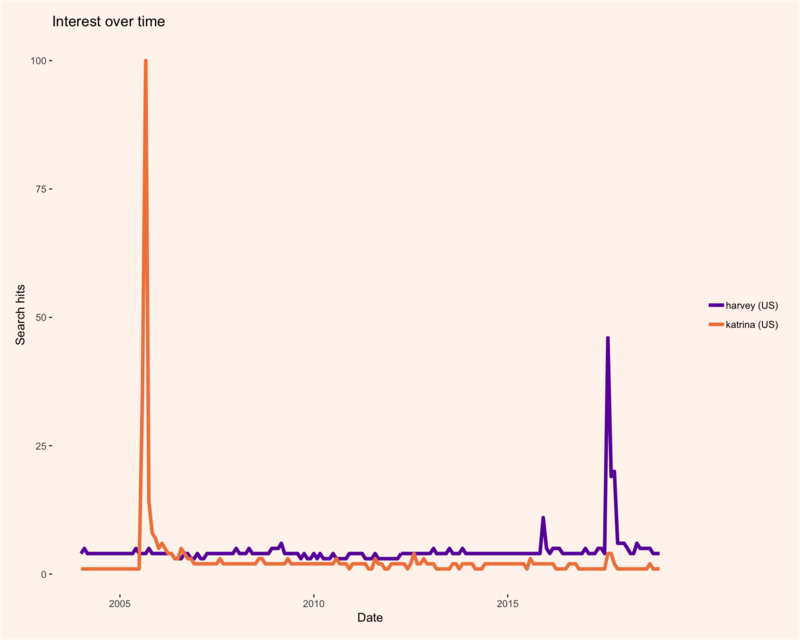 The above plot shows clear spikes around the time when Katrina and Harvey hit the US. We could also plot more cyclical data. As you can see in the output below, the gtrends function actually returns a list of data frames with various kinds of data. 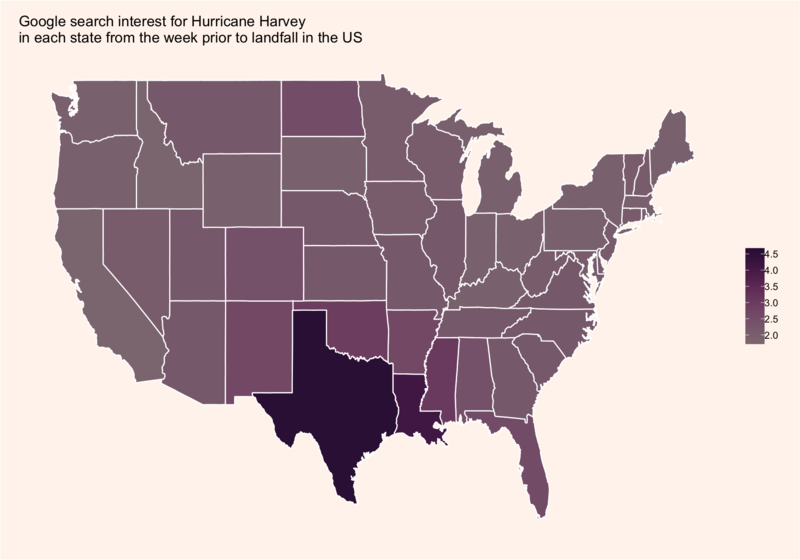 Now, let’s compare the amount of interest in Hurricane Harvey for each US state. On the fourth line in the code above, we fetch an empty map for plotting our geographical data. 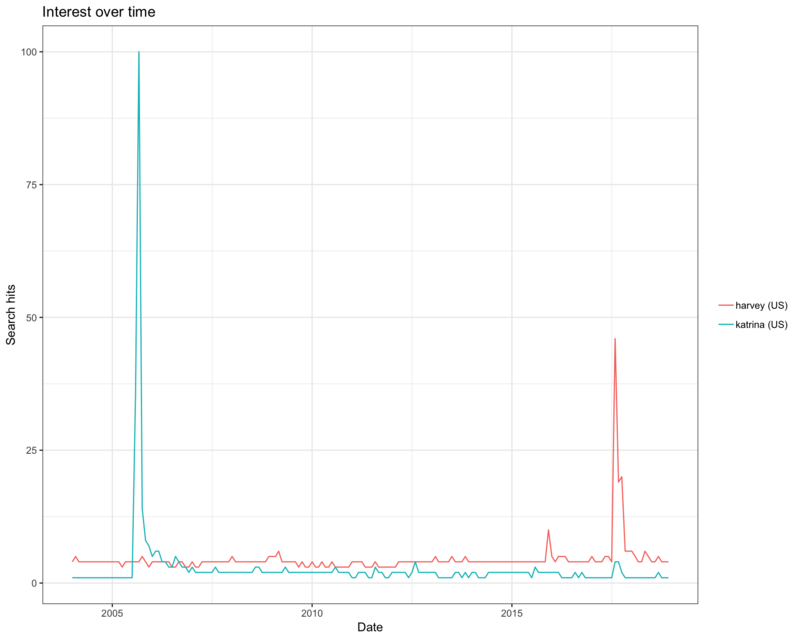 On the fifth line, we merge our google trends data with the underlying map data. Both data sets contain a column called “region”, which will be used to merge the data frames. Note that the region labels need to be identical. therefore, on line 3, we change the capitalized state names to lowercase. Now we can plot the data! But first we’ll modify our ggplot theme for plotting maps. Note that we have plotted the log-transformed hits variable. 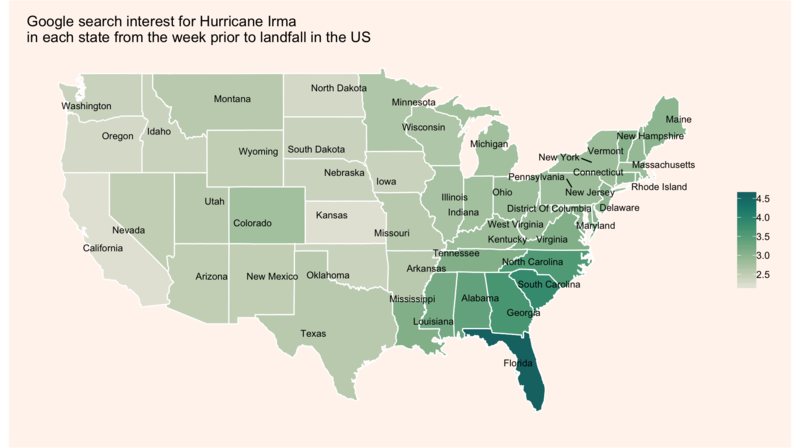 We then use the same procedure for plotting regional searches for Hurricane Irma, except we add a label for each state, change the colours and add the coord_fixed argument for a nicer looking map. Placing the state names is a bit tricky. I’ve used a simple solution that centers the names. However, some of the smaller eastern state names would overlap when using geom_text(). 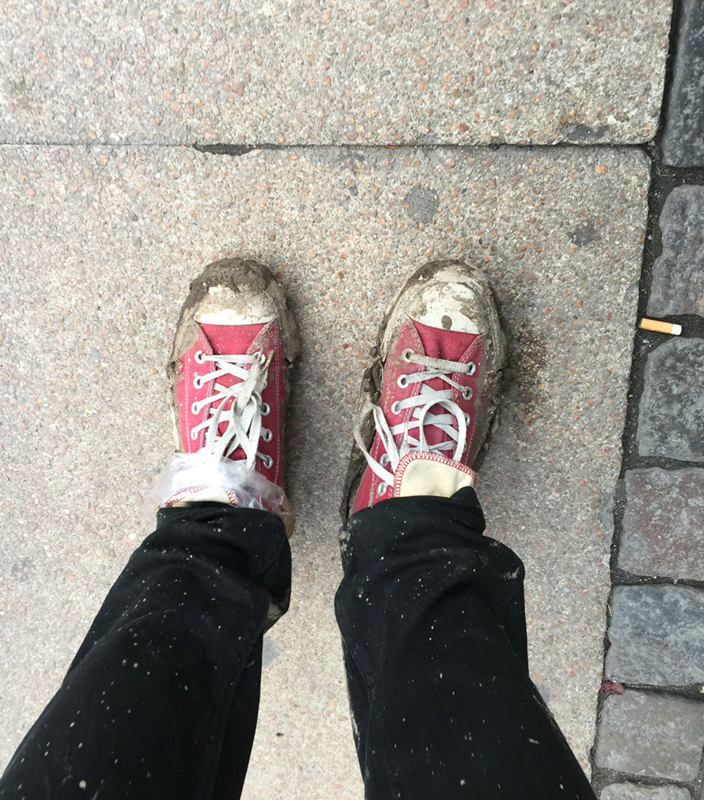 Luckily, geom_text_repel() from the ggrepel package takes care of this issue. 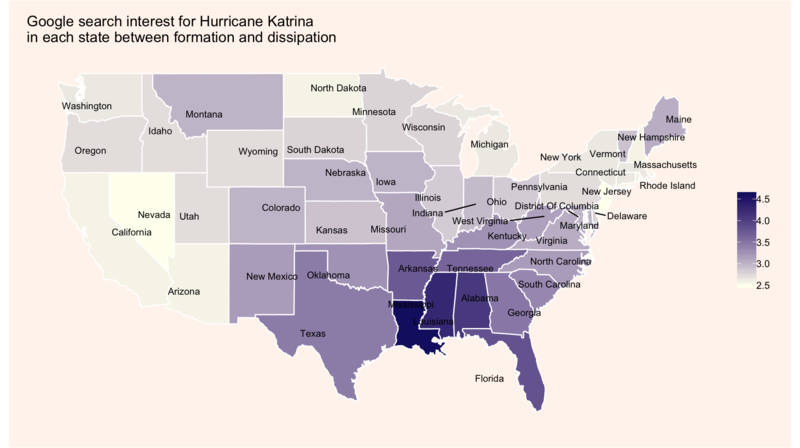 Lastly, we,’ll plot searches for Hurricane Katrina by state, but focusing on searches between its formation and dissipation. 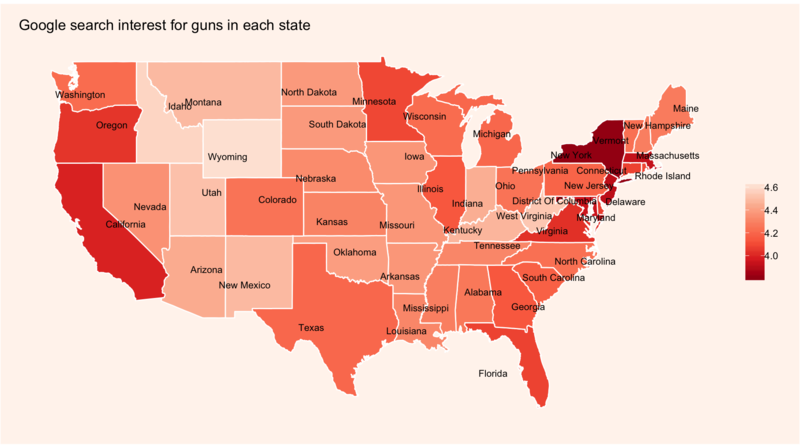 BONUS: In which US states do people search for “guns” the most?